Spotted, a yellow gown that would be a beautiful wedding dress option for a bride that is planning a bright, boho-chic celebration! I paired yellow with purples, pinks, white and touches of green for a look that feels fresh and fun. 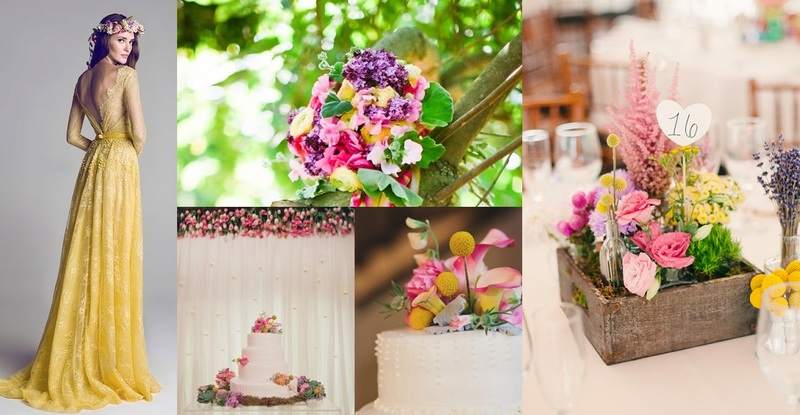 The style of this wedding is ideal for a spring or summer garden wedding. However, even an indoor-location will feel like an outdoor party with these pretty details.